In his continuing efforts towards public engagement, the Minister of Natural Resources Hon. Raphael Trotman on Wednesday travelled to Lethem to meet with miners and hear their matters of concern in the area. The Minister was accompanied by the Ministry’s Compliance Department Director Mr. Derrick Lawrence. During the meeting, they both heard reports on the status of mining operations in the Marudi Mountain area, the issues related to the mining operations, and recommendations in moving forward to ensuring all miners benefit from these operations. Currently, due to Minister Trotman’s intervention, an agreement exists between the miners and Canadian company Romanex for the company to accommodate the miners seeking to mine in the Marudi Mountain area; provided that they are in compliance with the Laws of Guyana and the company’s rules. The miners have been facing difficulty with this agreement and have sought resolution. 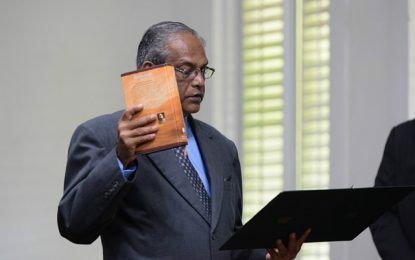 As a result, the Minister noted that a meeting will be facilitated by the Government for Romanex, the miners, and the Guyana Geology and Mines Commission (GGMC) to reach a resolution which should ultimately allow the miners to continue working, on the condition that they make significant cutbacks on mercury use and conduct the appropriate mining practices. Minister Trotman reminded the miners that his concerns on mercury use are very high since complaints have reached him indicating that the use still exists within the area. He noted that he understands the challenges involved in moving towards the elimination of its use in the mining industry and as such ensured the miners that the Government will continue to do what they can to assist in moving towards mercury-free mining. 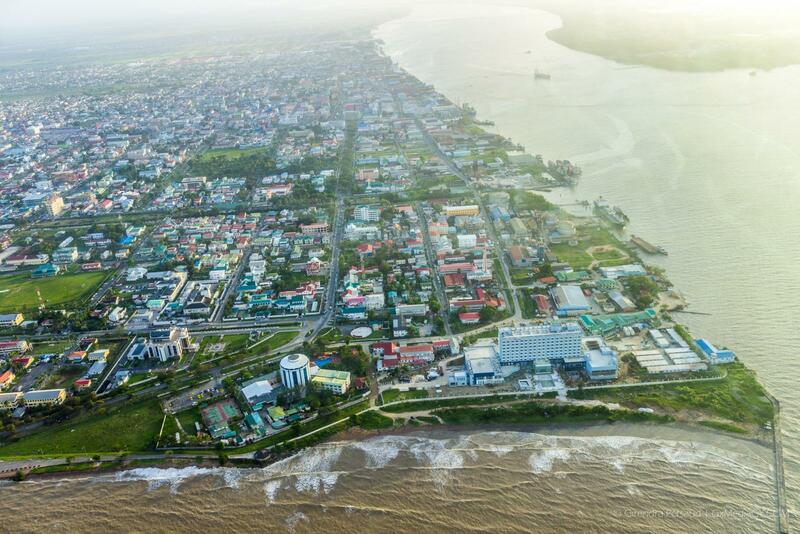 Guyana is currently moving towards the elimination of the use of mercury in the mining industry. He also informed the miners that the GGMC mines officers have responsibilities in the area, and they must be allowed to do their jobs of enforcing the law especially if high negative environmental impacts present themselves. The GGMC is required to offer assistance in helping the miners practice safe mining. While assuring the miners that he will continue to represent them, Minister Trotman also urged that they help with the management of the current situation of social issues present in the area. These include the issues of drugs, guns, and prostitution. He called for better behaviors to be exhibited by the miners which would include them not becoming involved in any of these unwanted activities. The Minister further assured the miners that it is not the Government’s intention to shut down these mines but for peaceful work to occur. The miners were happy to hear this and noted that this is the assurance that they needed so that they may continue earning a living. The Minister is pleased to continue playing his part in ensuring that miners are afforded opportunities to improve their livelihoods. He is expected to return in the following month to conduct a follow-up visit. The Minister encourages miners that as they continue to work, they must make sure that mining is done in a responsible manner with respect for the community, the environment, and each other.